We believe in excellent education for all students. Learn more about Albuquerque Collegiate’s core principles. Through high-quality instruction and intensive academics supports, Albuquerque Collegiate scholars will succeed at the highest levels. Enroll today. Albuquerque Collegiate is looking for high capacity, energetic, and passionate individuals to join our Founding Team. Apply today. Within a structured and ambitious school community, driven by high-quality instruction and intensive academic supports, Albuquerque Collegiate Charter School educates all K-5 students for college graduation and life success. 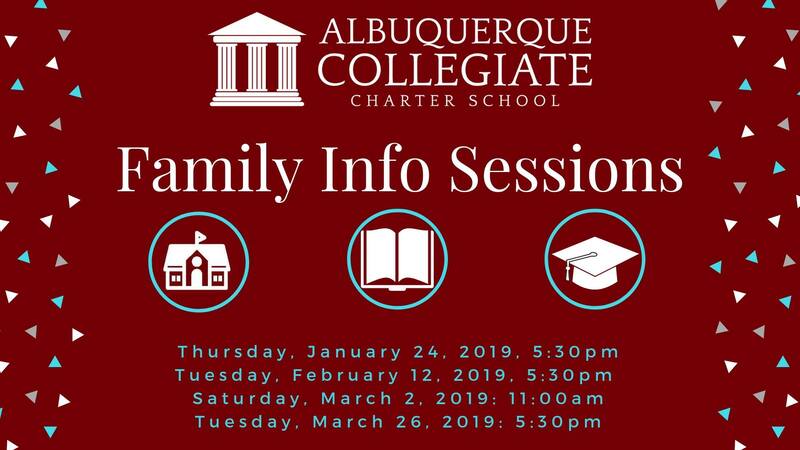 Prospective Families: Come learn about Albuquerque Collegiate Charter School, a college prep elementary school in the South Valley. Abq Collegiate is now accepting applications for kindergarten, first, and second grade students for the 2019-2020 school year. Join us for information about the school, details about the application/lottery process, answers to your questions, and an opportunity to meet our team. We will have refreshments and kid-friendly activities. All interested families are welcome to attend. Can’t wait to see you there!